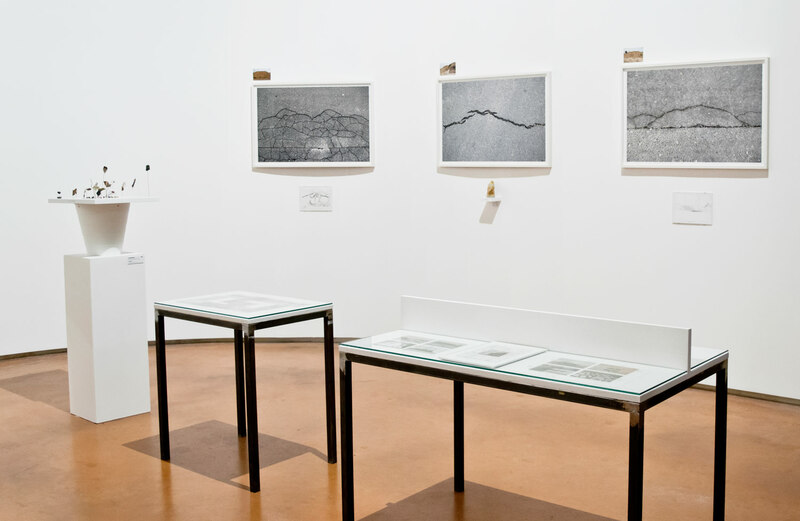 An installation of drawings, objects and photographs composes the subjective framework of the specimens that Andrea Acosta collects during exploratory walks through different cities. 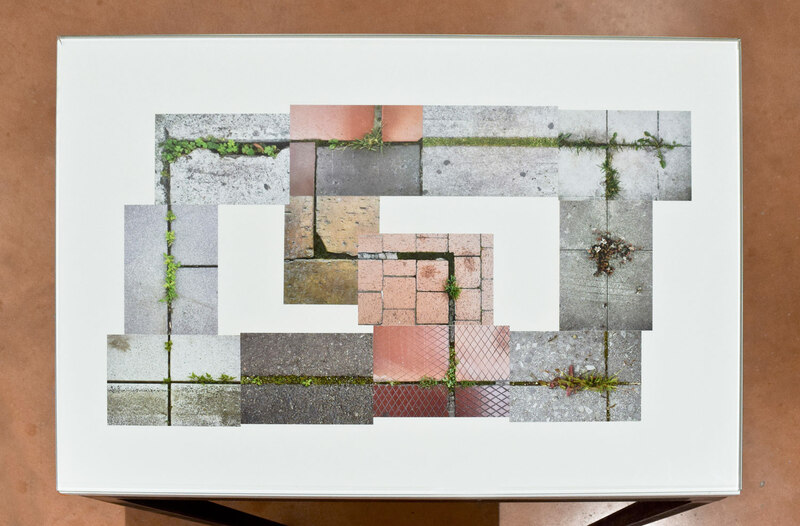 Acosta seems to experience urban space as a sum of accidents and fragments that she reassembles through poetic associations, drawing a personal cartography that gives new meanings to the sites she explores: the slightest explosion of grass on a brick path is a hint of liberation. 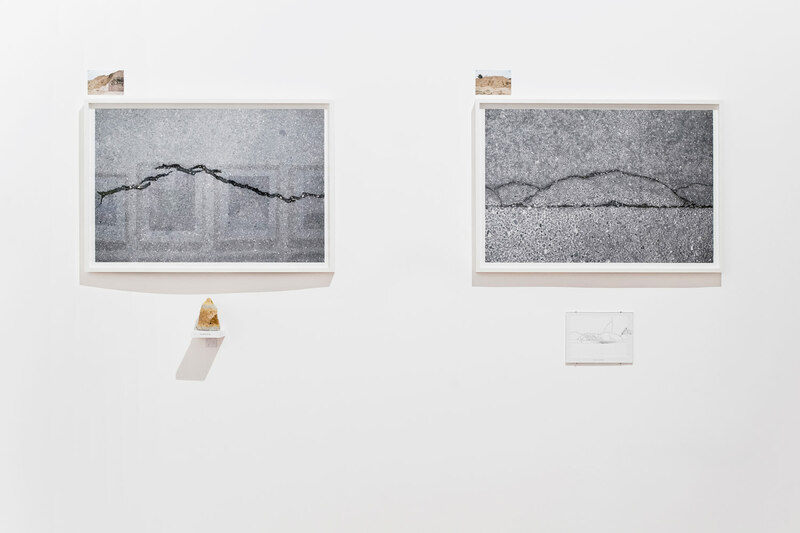 The cracks in the cement are no longer signs of urban decadence but the contours of mountains from her childhood. 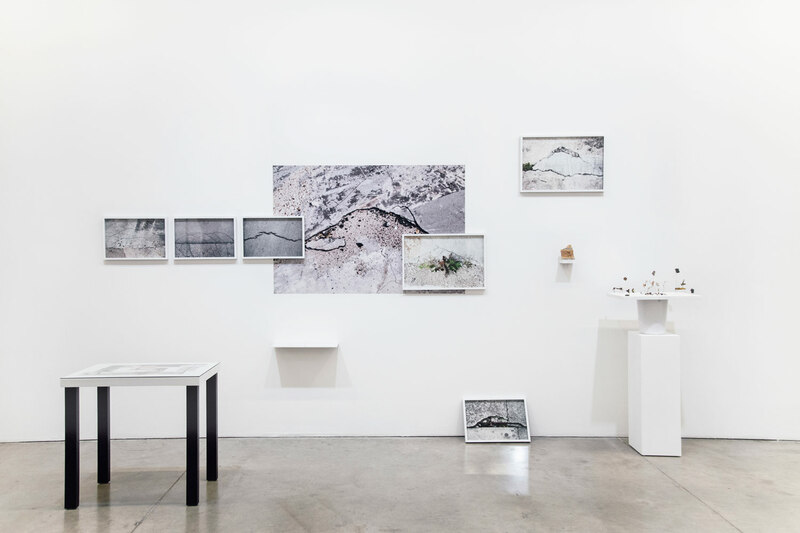 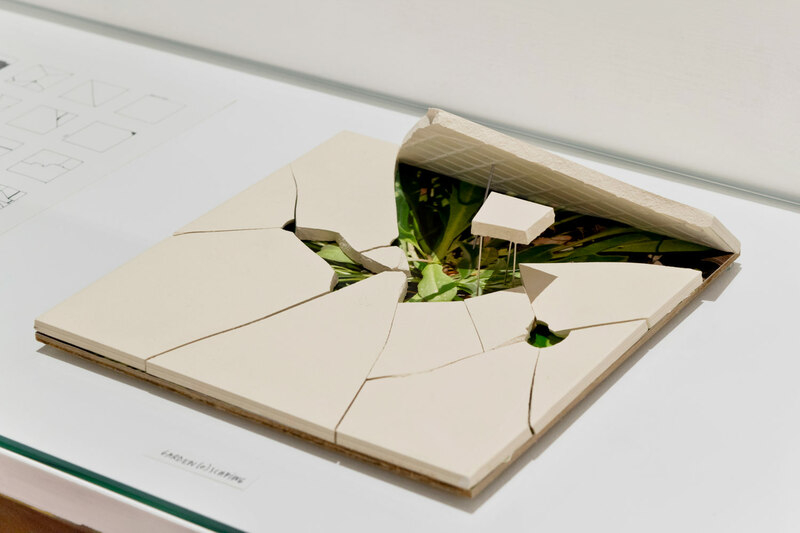 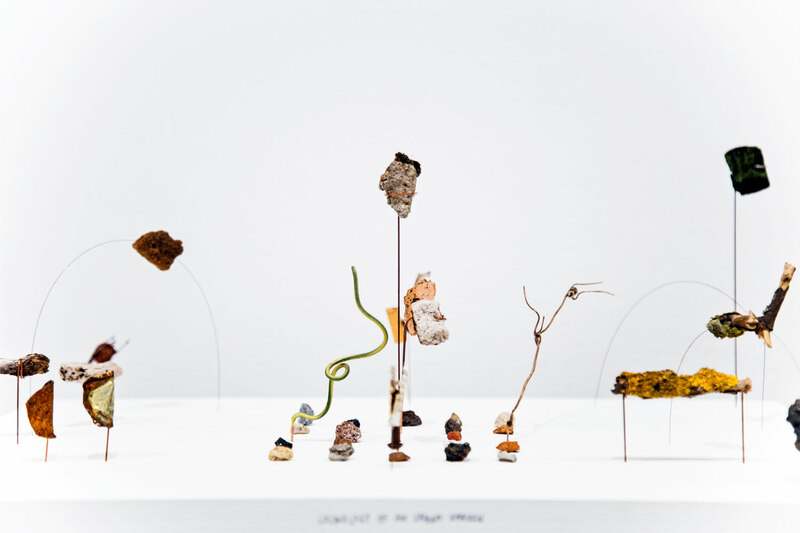 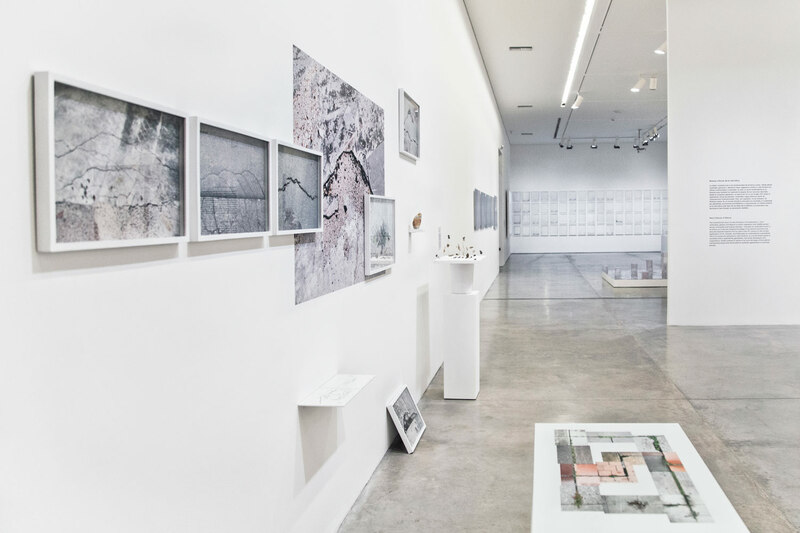 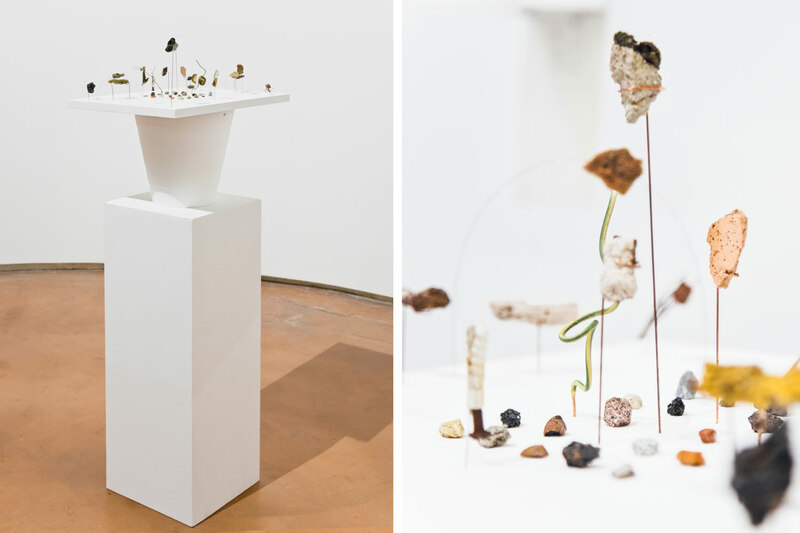 These recurring ‘accidents’ are compiled in an extensive archive, organized with a personal cataloging method that reflects the way she sees, experiences and classifies urban space, in categories such as ‘found sculptures’ and ‘geometry’, but also ‘mountain’, ‘gardens’ or ‘things that happen to the trees’.